When experiencing the class and elegance of the BMW 3 Series, you’ll be behind the wheel of a powerful luxury vehicle with standout amenities and a well-appointed cabin. The dashboard contains many symbols that explain certain 3 Series features, and which functions are being used as you drive. The owner’s manual is a fantastic resource to use, but in this article, BMW of Westchester takes a closer look at some of the most important dashboard symbols and what drivers in Westchester County, Yonkers, and Hartsdale need to know about them. 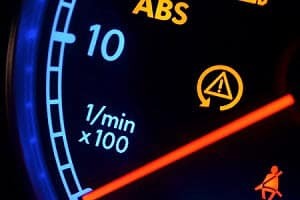 When the dashboard light says “ABS,” the issue you have may be related to the brakes. The ABS system, which provides stability control while driving, particularly in slick situations, might not respond properly when pressing the brakes. The car is safe to drive, but you might have to press the brakes sooner to get the car to come to a complete stop. It’s a good idea to avoid any wet or snowy conditions because the car could skid or slide while driving. When this light turns on, it will look like parentheses surrounding an exclamation point. The BMW 3 Series you’re driving has detected that tire pressure in at least one tire is lower than the recommended levels. When the light is red instead of yellow, the tire could be losing pressure rapidly. When the light is yellow, the tires may just need to be adjusted slightly. Check the owner’s manual for the recommended tire pressure, and keep in mind that pressure can drop when the seasons change. Check all four tires, and add air if necessary. When the tires are filled properly, you’re able to promote the best possible fuel efficiency. 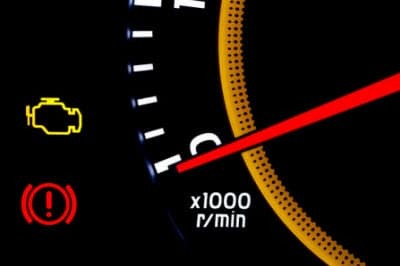 The check engine light is designed to let you know when there could be an issue with your vehicle. There are many reasons why a check engine light could turn on, from a loose gas cap to catalytic converter malfunction to exhaust pipe concerns. It may also point to an emissions-related issue, which could cause your car to not run as efficiently as it should. Coolant prevents any 3 Series vehicle from overheating. This necessary fluid must be kept up to proper levels to cool the engine, so if the light has turned on, let us know. Pull over and let the car cool down before opening the hood, as the car might be running a bit hot. Call our service team for further assistance. Performing simple maintenance can prevent some of these dashboard lights from turning on in the first place. When visiting our BMW service professionals, you’ll receive outstanding maintenance performed by factory-trained technicians. From oil changes to brake inspections to tire rotations, turn to BMW of Westchester for comprehensive service. We’re proud to service those who drive the BMW 3 Series on the roads of Westchester County, Yonkers, and Hartsdale.